Stainless Steel Cantilever Tools Box Five Compartment. SIZE :- 18x8x8 (3.850 KGS) & 21x8x8 (4.350 KGS). 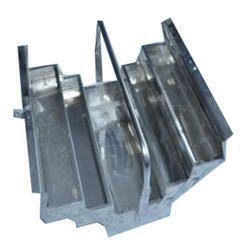 We are offering superior range of stainless steel tool box that is widely used in pharmaceuticals. Suitable for stacking different pharmaceutical tools, We offer these tool boxes at market leading prices. 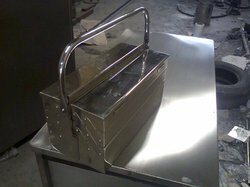 We offer Steel Tool Box. Product Dimension (Inch): 42" X 18" X 39"